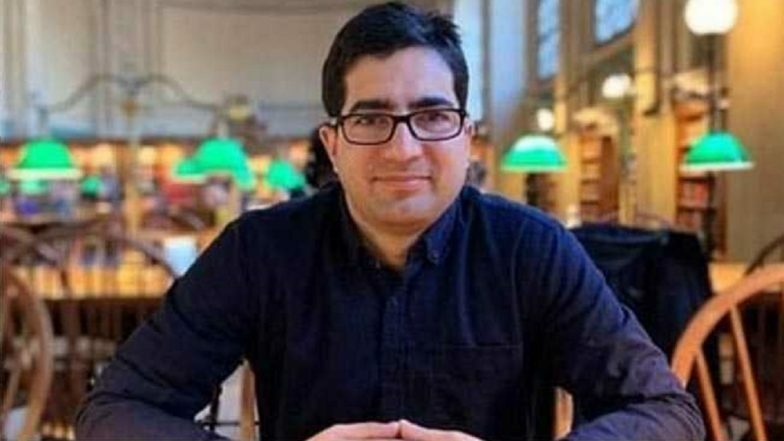 New Delhi, February 25: Former IAS Shah Faesal, who resigned from service earlier this year to protest against the "unabated killings in the Valley", said on Monday that he would be launching a new political party. The Kashmiri ex-bureaucrat has applied before the Election Commission to register his outfit, which would also participate in the upcoming Lok Sabha elections 2019. Shah, while speaking to NDTV, said he would not reveal the name of his party as the registration plea is still under consideration before the polling body. The 35-year-old further claimed that he is himself firm to enter the election fray. Speculations were rife since January, when Shah submitted his resignation, that he would be contesting from any of the three parliamentary constituencies in the Valley. The ex-IAS had fueled the expectations of launching his own outfit after he initiated an online crowdfunding drive, seeking donations from across India for a new political movement in the Valley. Shah had been careful in not accepting donations from across the border. Further, all amount pooled through several transactions from across the nation were made public by him. Shah, after resigning on January 9, posted a note on Facebook justifying his decision to quit. Among the points cited by him included the alleged use of brute military force in the Valley, along with the reduction of Indian Muslims into "second-class citizens". The former bureaucrat is also among the list of individuals who security has been withdrawn by the Jammu & Kashmir administration following the terror attack in Pulwama. The decision, Shah claims, could have stemmed from the "possible disagreements" between his views and that of the government.